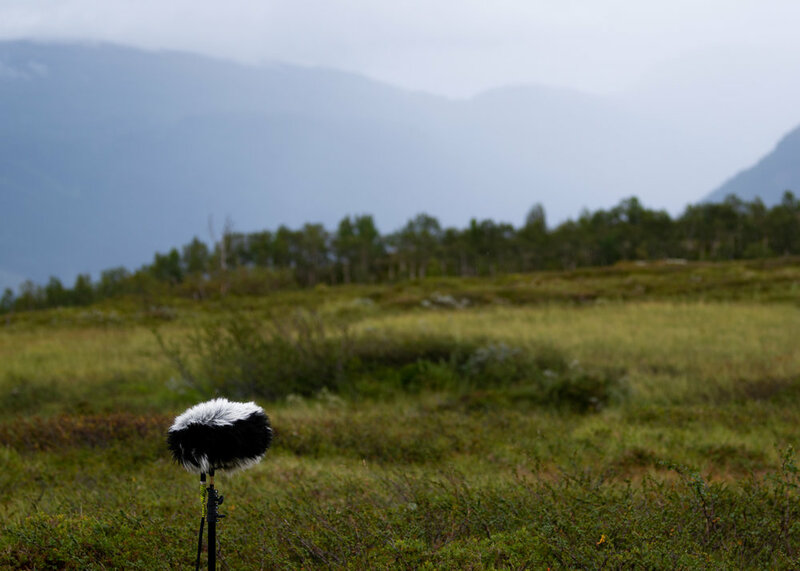 I recently got back from a field recording trip to central Norway. I was very optimistic at the prospect of recording in this relatively remote area, but my expectations would be cut short quite soon. We stayed with friends in a small village on an island. After a 10 hour rainy drive from the airport we arrived at their place. On the way there we spotted a few raptors and very promising long stretches of forest and national parks. 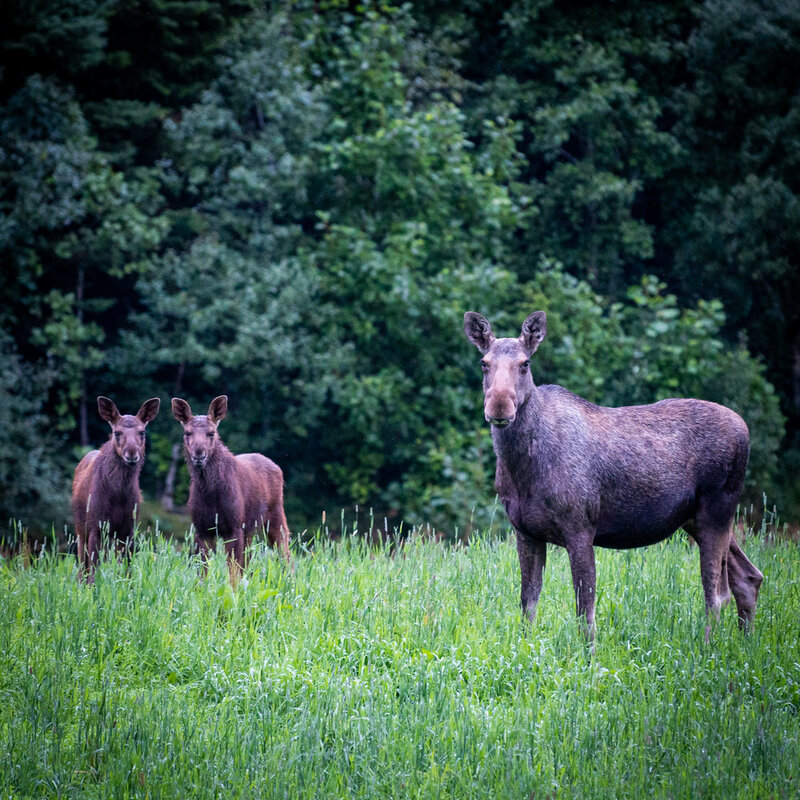 We went for a walk on the first evening and spotted a few moose on the side of the road. Overall quite a promising introduction. Over the next few days it rained almost continuously. Undeterred, we went out to scout for good places for field recording. 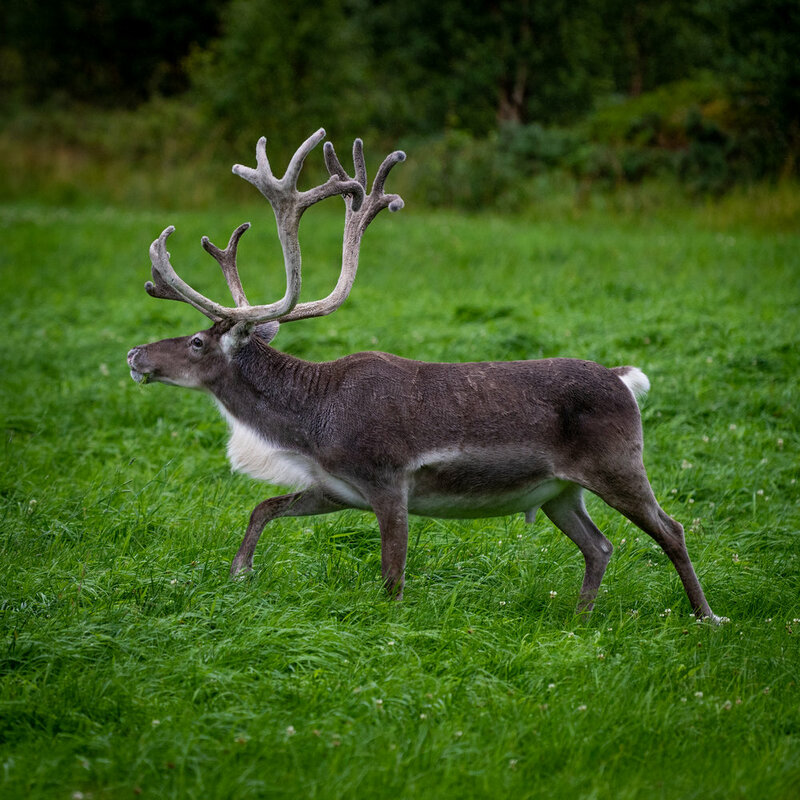 We spotted a good amount of wildlife including reindeer, red squirrels, hares, sea eagles and crossbills. We did a lot of driving, sometimes more than 7 hours per day. We even reached the Arctic Circle and kept driving North in the Tundra. Everywhere we stopped, without fail, there was some combination of the following: streams, rivers, creeks, waterfalls, sheep or cattle with noisy bells, distant traffic and road works. I managed to record a flock of chatty Parrot Crossbills with my D100, but with constant water flowing noise on the background. On the 5th or 6th day the weather got a little better and I finally found a few acceptable recording spots. I managed to record the elusive silence of the Tundra, soft rain falling on a marshy bit of short shrubs, heavy silence in a conifer forest and even a Golden Eagle feeding its chicks. On one of my hikes I discovered a weird geological formation callet Jettegryttene. Apparently water and ice dug a hole in the ground many millennia ago and this place can be visited with a little care. I descended into the whole and recorded about half an hour of water dripping. Quite an interesting spot, and definitely the highlight of my day. I had very high expectations from this trip, and Norway made me work hard for a few meagre hours of recording. The problem probably lies with me though. I've been on a series of more or less successful recording trips lately, and I think I started to take it for granted. Nothing like a beautiful country that's impossible to record to make me humble again. Another silver lining to this trip is the fact that I managed to test a lot of my gear in the rain. The Cinela blimp always kept my mics dry, as expected. The dry bags did a good job as well, while both cameras worked perfectly in the pouring rain. My jacket however seems to have become less water resistant and on occasion let some of it in. This was all a very good exercise in preparation for my expedition to Gabon in November, and for another less ambitious trip towards the end of September. Follow me on social media if you want to get updates more often.